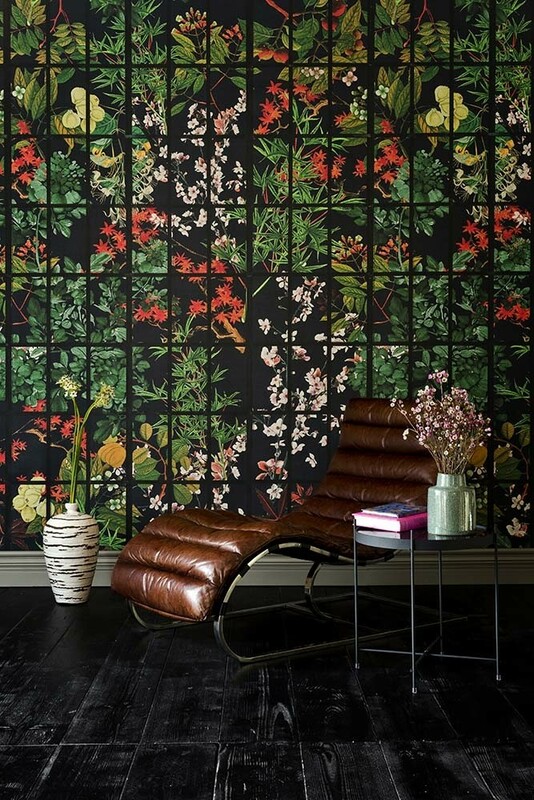 A beautiful and evocative print the Japanese Garden Wallpaper will take your breath away. With a minimalist design the Mind The Gap Japanese Garden Wallpaper is printed onto a chic black anthracite background with trailing and hanging green plants and a grid design. Said to inspire reflection and meditation this plant wallpaper has a roll width of 52cm x a roll length of 3m. Anyone who wants to create a feeling of calmness and zen in their homes will love this wallpaper. Nature is said to be great for your wellbeing and happiness and so incorporating elements of nature in the home, such as this nature inspired wallpaper, will help to create this feeling. For this reason, we think that the Japanese Garden will look great just about anywhere in the home. 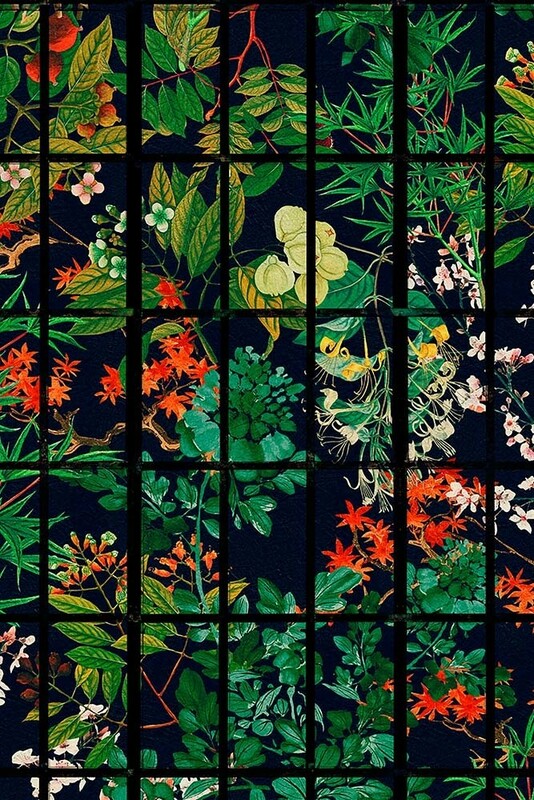 Style the oriental garden wallpaper in your hallways to create impact as soon as you walk into the home or in the living rooms for unique look. You could even do something a little unexpected and wallpaper your wardrobes or mid-century style display cabinets with this striking monochrome wallpaper. For more ideas, check out our blog - 5 ALTERNATIVE IDEAS FOR UPCYCLING WITH WALLPAPER.